The Faculty of Law is pleased to host the 2012 New Zealand Law Foundation Distinguished Visiting Fellow, Professor Andrew Ashworth, Vinerian Professor of English Law. The topic is: 'Negotiating the Fundamental Right to Personal Liberty: Four Problem Cases'. 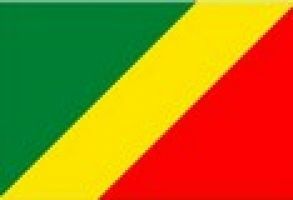 Leerlingen lezen informatie over Belgisch-Congo en lossen dan in groep een aantal vraagjes op. Palaeontologica Electronica is a peer-reviewed, online journal of paleontology. Articles span a wide spectrum of topics in paleontology including micropaleontology, palynology, invertebrate paleontology, paleobotany, vertebrate paleontology or related biological disciplines. Users can follow links to current articles, archived articles, volume indexes, editorials, author resources and sponsor information. Articles are available in html and PDF formats. Video highlights from the Eastman School of Music at the University of Rochester on May 20, 2012. Pulitzer Prize--winning composer and Eastman alumni George Walker '56E (DMA) told the graduates that he has valued the continuous relationship he's enjoyed with his fellow students and with faculty over the years, "a source of pride and satisfaction to me." This video offers a step-by-step process for reporting identify theft. It also shows what government agencies to contact and the importance of using a fraud alert. Ways to avoid such a theft is also offered. This video is good for all ages, but younger students may need some background information.